I read a fascinating article on the use of technology in the World Cup. I’m not talking about the streaming technologies which have made it easier for multitudes around the globe to watch the games; or even the Video Assisted Referees which are intended to prevent human error when it comes to deciding on faults and offences. What I’m talking about are those little packs worn by the players, generating analytics that help them play better. Now, wearable tech has made a major difference in many people’s lives: just look at how many of your peers and friends are wearing gadgets that help them measure everything from their latest speed to their heart rate. If it’s going to improve our general fitness, I’m all for it. 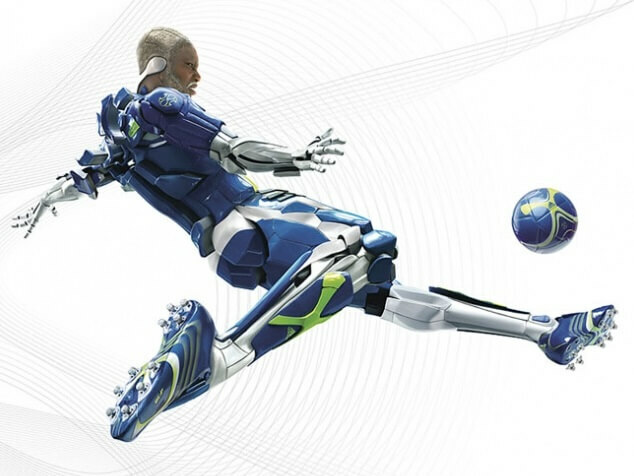 But when it comes to something like a World Cup, I fear that tech aiming to enhance performance is taking some of the beauty away from the Beautiful Game. In its purest form, sport is the truest test of human skill and spirit. It’s about pushing the limits of endurance, pitting your excellence against someone who is just as good – maybe even better. So if you’re told to take a break because your muscles are about to become fatigued and it’s time for someone more fresh to take your place – well, I can see how that’s great for the team, but isn’t some of the game’s soul destroyed in the process? It matters to me because Blueprints is all about soul. The measurements we conduct amongst employees around their real organisational DNA are designed specifically to elicit responses that reveal the organisation to us in its entirety – the good, the bad and the ugly. And we don’t shy away from the ugly: this is just as important to us, because they contribute to the organisation’s overall character. It’s admirable to strive for improvement, for perfection – to want to get better every single time. I’m very much in favour of that; after all, the reason we exist is to help organisations evolve. But I’m also very much in favour of keeping the soul, of admitting that the perfection we strive for isn’t entirely attainable, that we’re not perfect in the first place – and there’s something beautiful about that.